IT IS going to be a very Talijancich Christmas for the third-generation family of Swan Valley winemakers. 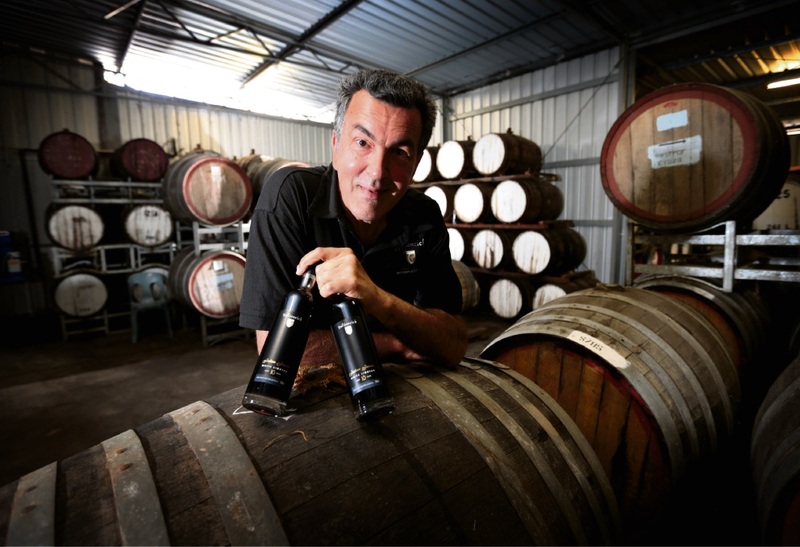 It was a very busy but exciting year for the Herne Hill winery, which took out a host of awards at the Swan Valley Wine Show Awards in August, including Wine of the Show for the Julian James White Liqueur. However, for head winemaker James Talijancich, nothing is more important than family. “All of our four kids, who are aged between 23 and 30, will be home for Christmas this year,” Mr Talijancich said. “Which will be really nice, as two of them live overseas. Talijancich Wines is a Swan Valley institution. After landing in Australia from Croatia in 1926, James’ grandfather Jim bought the Swan Valley vineyard in 1932. That year, the family proceeded with their first vintage, making fortified wine from muscat and shiraz grapes, and James’ father Peter was born. After Jim passed away suddenly in 1945, 13-year-old Peter was forced to quit school and run the winery, which he did until retiring in 1977, when James joined the business. James and wife Hilda bought the winery and vineyard in 1998, confirming three generations of ownership. Peter (84) still spends time at the property, and his wife’s Christmas cake is a hit with both family and customers. “Mum makes cake with our white liqueur,” James said. As expected, wine plays a large part in the Talijancich Christmas celebrations. “We all enjoy a good glass or so, but not much more,” Mr Talijancich said. “We love wine, but I think because we work around it all the time, our greatest enjoyment is the process from getting it from vineyard to bottle. Having a European background also means food is an important part in the day. “Croatian food is a mix – it’s close to Italian, but we don’t actually eat as many pasta dishes,” Mr Talijancich explained. “We have cold meats, a roast turkey or beef, chicken, and salad or vegies. There is still a bit of work to do before the Christmas break, with harvest taking place, but knowing that Christmas is around the corner makes it all the more enjoyable.